I can be reached at 413.233.8348 or at peter@lehndorff.com for more information or booking. PETER LEHNDORFF writes folk and jazz songs about everyday life. Some are humorous observations about everyday life, life in a small town and life in Massachusetts. In addition to his slice of life songs, Peter is now mixing the funny with the serious; the romantic with the eccentric. Some new songs reflect his experiences as a caregiver for his late wife. • Selected for three Folk Next Door concert compilations at the University of Hartford CT.
• Opened for Tom Paxton, the late Bill Morrissey, Robert Earl Keen, Arlo Guthrie and Dar Williams. PETER LEHNDORFF writes folk and jazz songs about everyday life. Some are humorous. Some are serious. They are observations about the things that happen to him and the stuff he sees. There are stories about cars; what he eats; and the places he has lived. Caregiving. 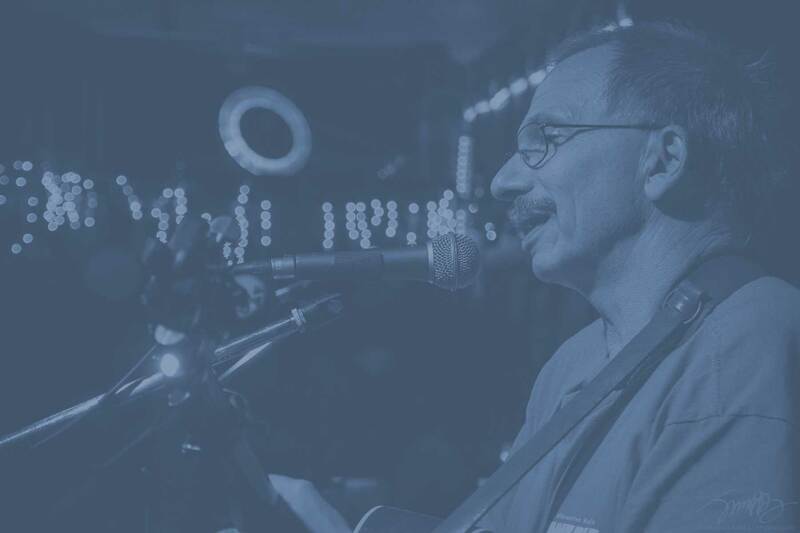 For several years, Peter was his late wife Kathy’s full-time caregiver as she battled Huntington’s Disease, the genetic brain disease that took the life of Woody Guthrie. He continued writing songs and recording them in his attic. Awards. Back in the late 90s, he appeared at coffee houses and venues throughout New England. He was a finalist in the Boston Acoustic Underground competition and performed on three of the Folk Next Door concert compilations at the University of Hartford CT. His disc, Love on the Line was released on Signature Sounds and received a great deal of airplay on college and public radio. His car-related tunes were on NPR’s “CarTalk” radio show. His song, Peugeot was included on a CarTalk CD. He has shared the stage with many artists from Tom Paxton, Bill Morrissey, Robert Earl Keen, Martin Sexton, Arlo Guthrie, and Dar Williams. Seriously. In addition to his slice of life songs, Peter is now mixing the funny with the serious; the romantic with the eccentric. It reflects his recent experiences. His song The Huntington’s Waltz is an imaginary goodbye from someone with dementia. Recent songs feature old friends like Tracy Grammer and Jim Henry.